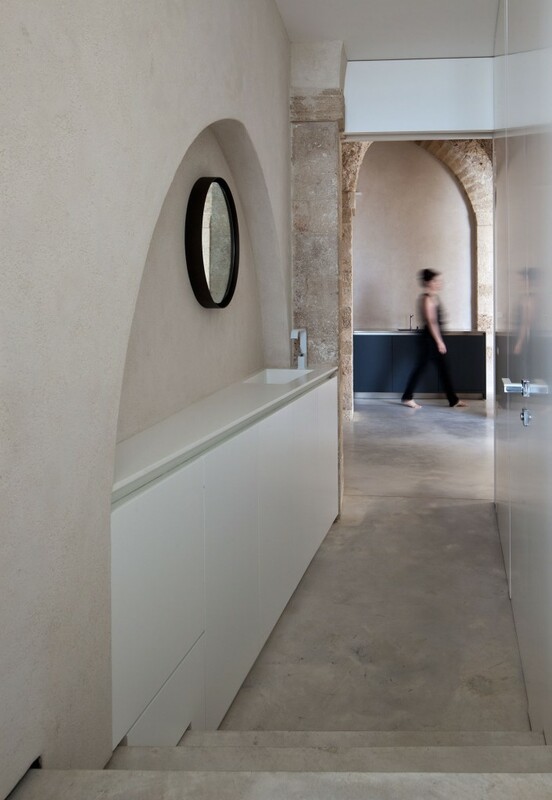 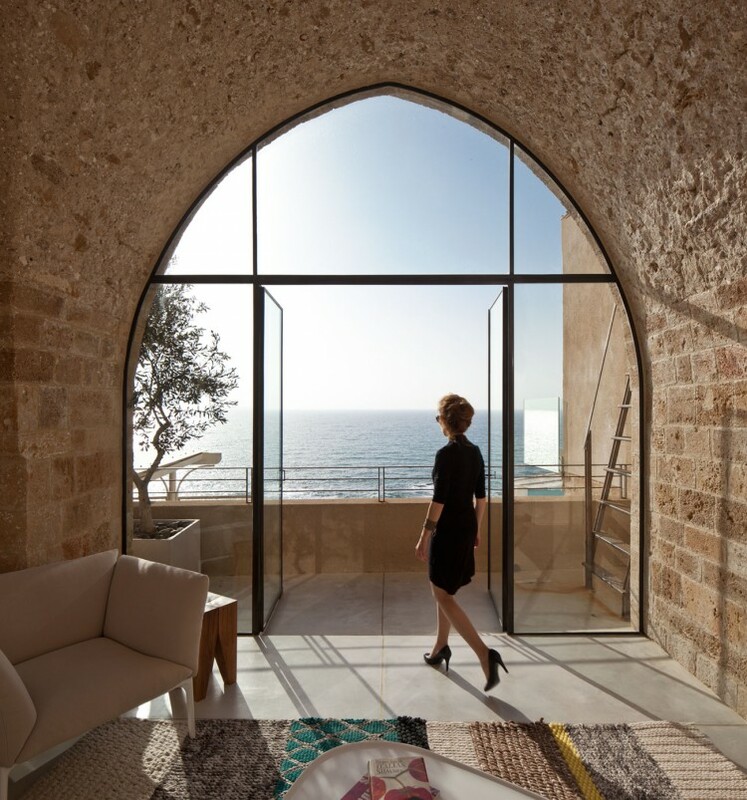 Tel Aviv-based studio Pitsou Kedem Architects (design team : Pitsou Kedem, Raz Melamed, Irene Goldberg) has sent us photos of the Jaffa Apartment project. 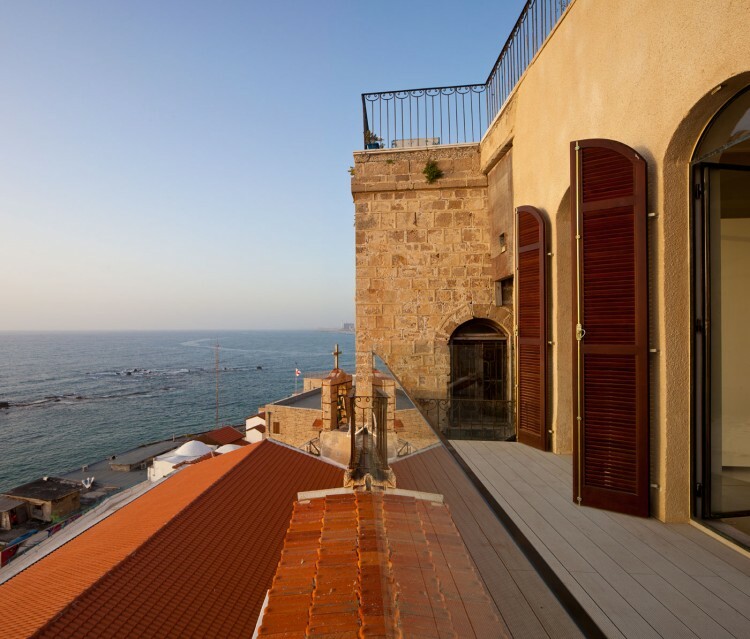 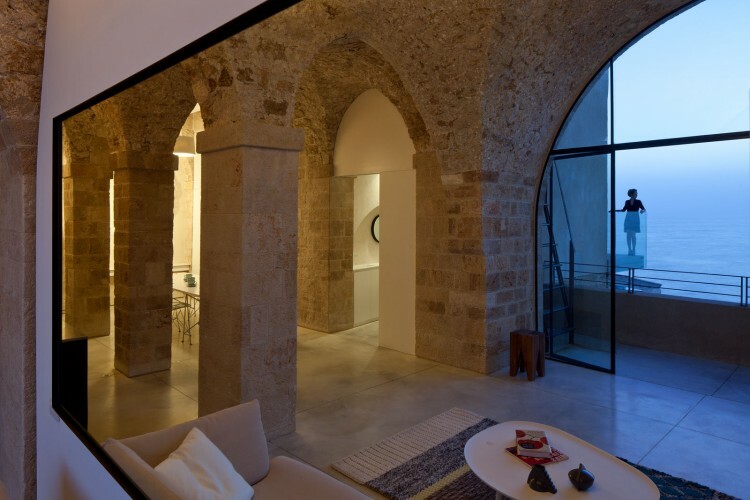 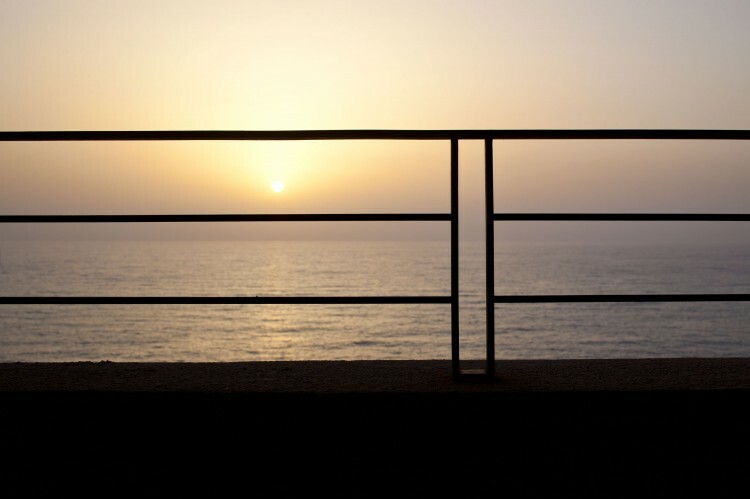 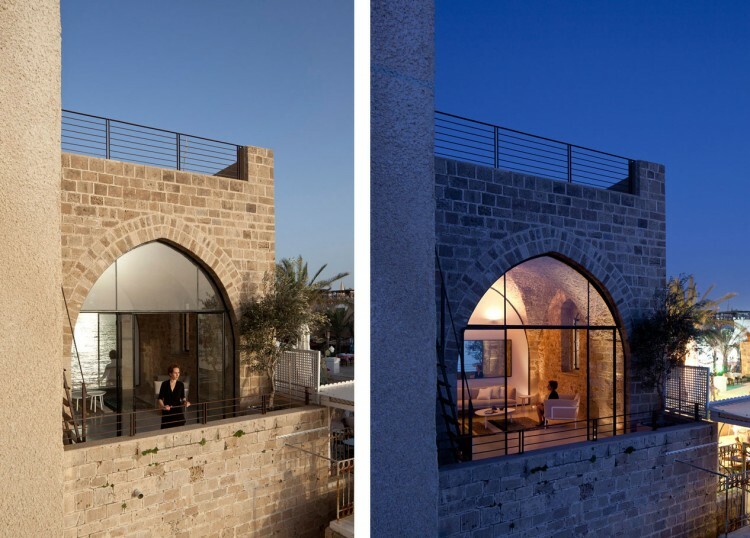 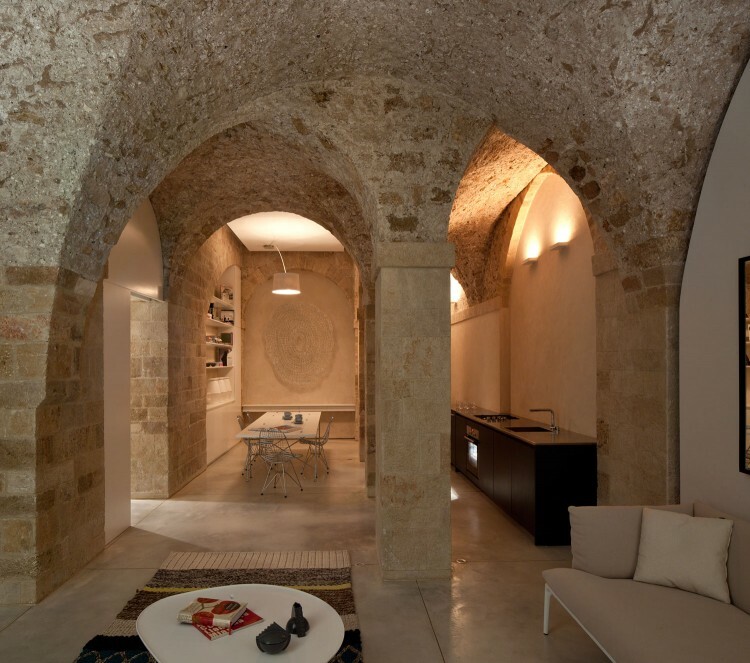 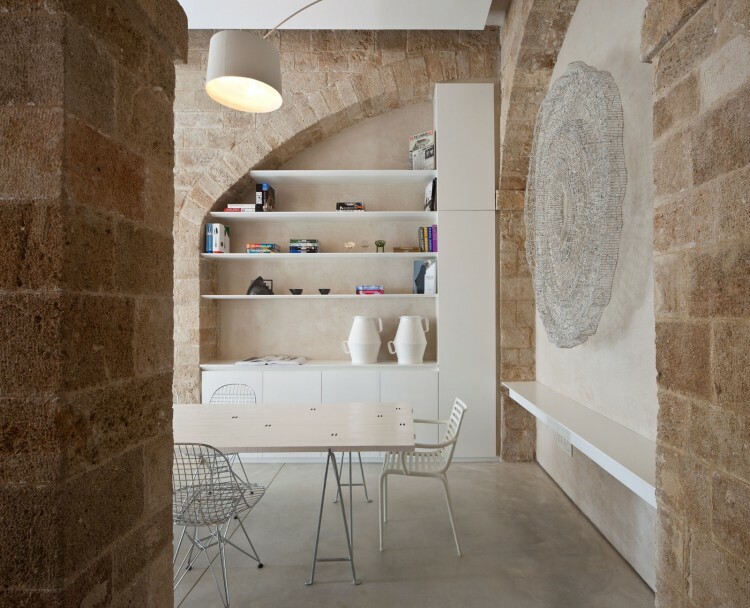 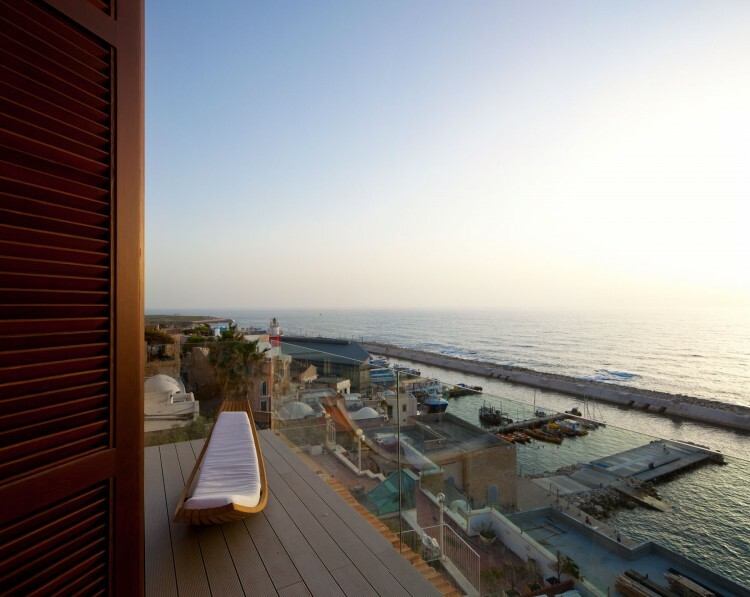 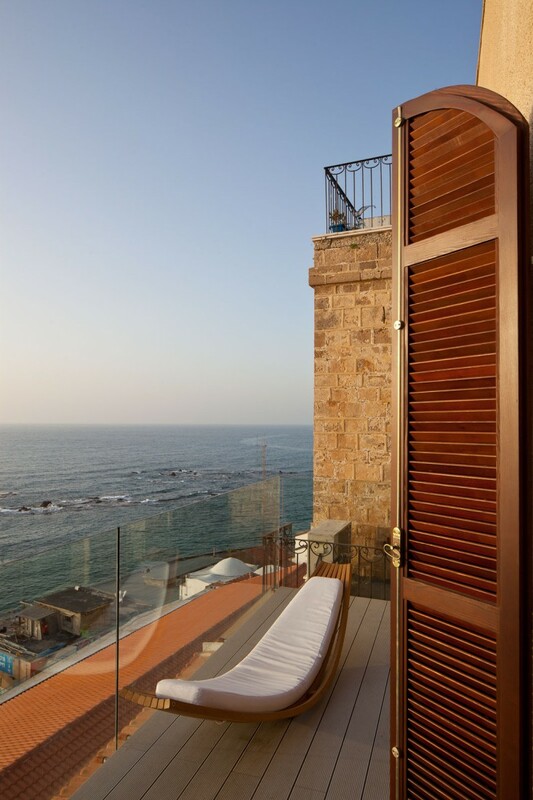 Located in Jaffa’s old harbor in Tel-Aviv, this apartment overlooks the Mediterranean Sea and was renovated to meet its original state, that has been damaged and modified over the years. 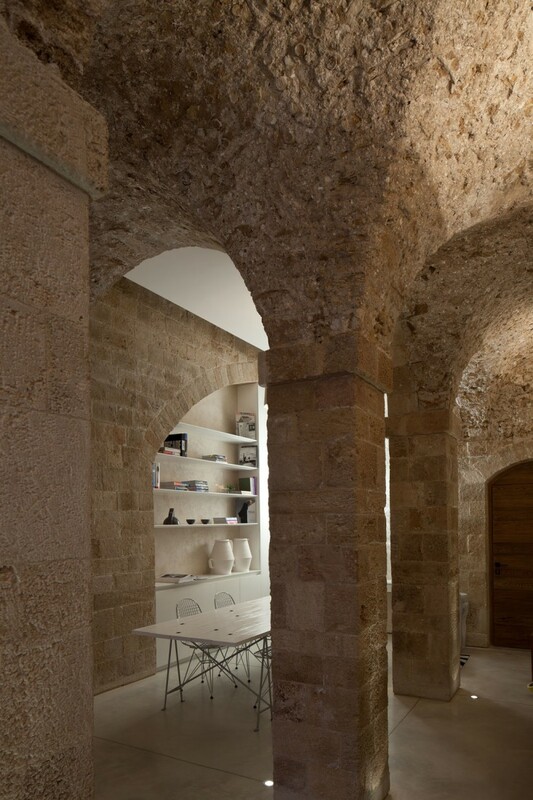 Whilst it is difficult to determine the buildings exact age, it is clear that it is hundreds of years old. 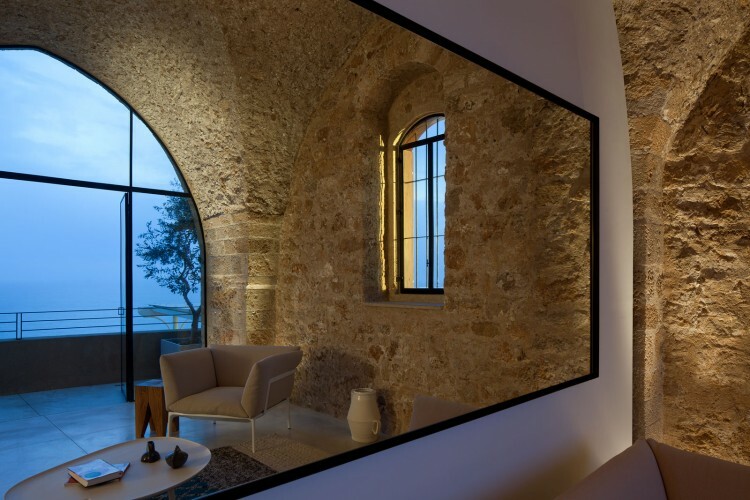 Over the years, it has undergone many changes and had many additions made that have damaged the original quality of the building and its spaces. 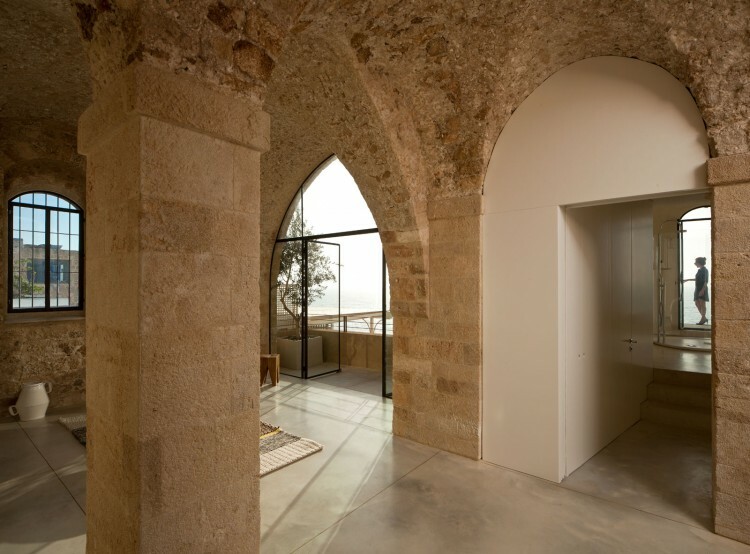 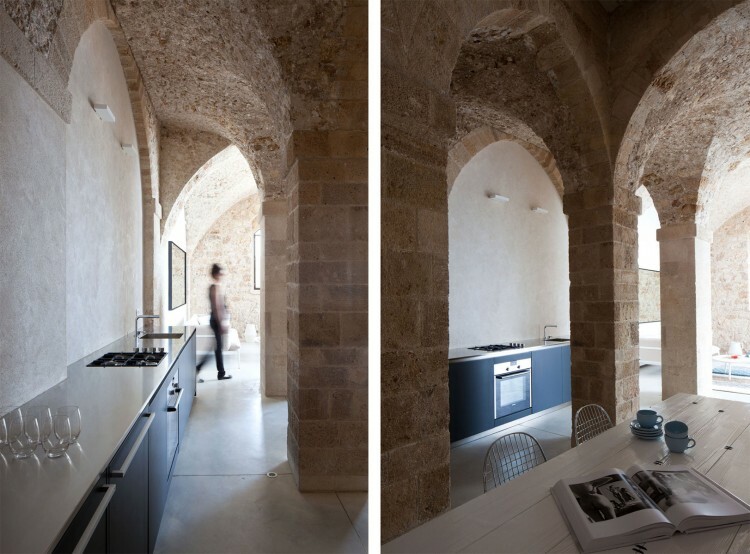 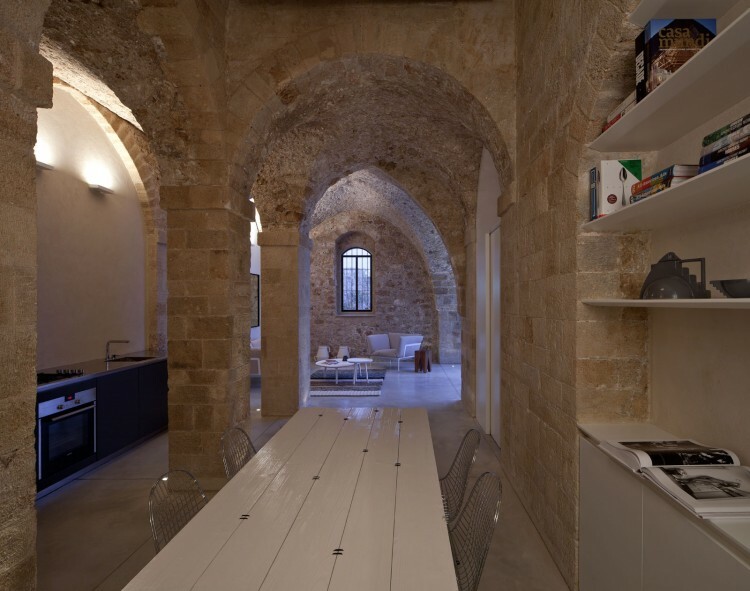 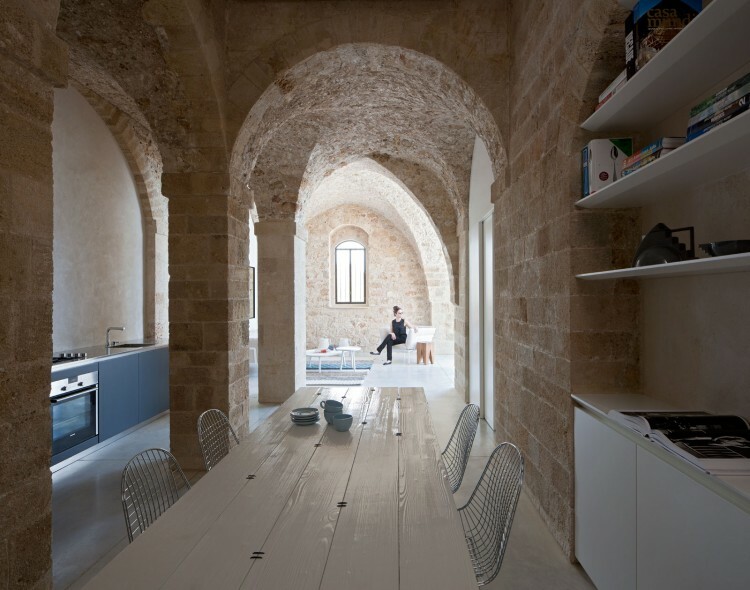 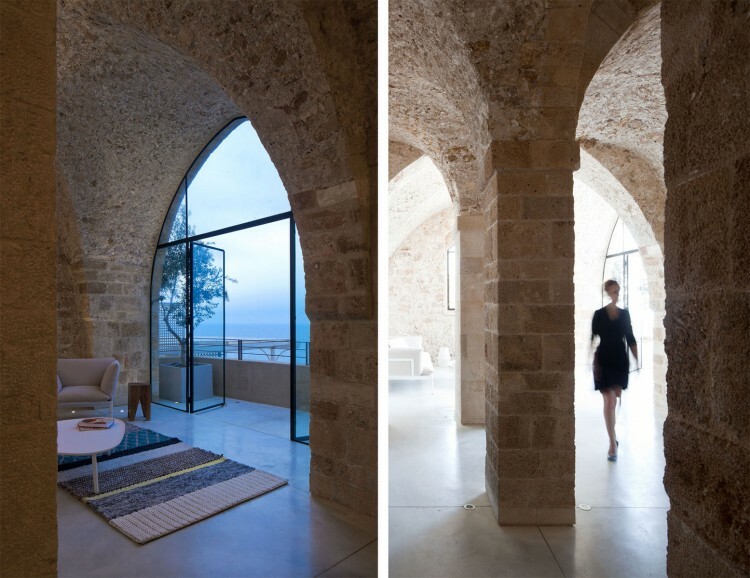 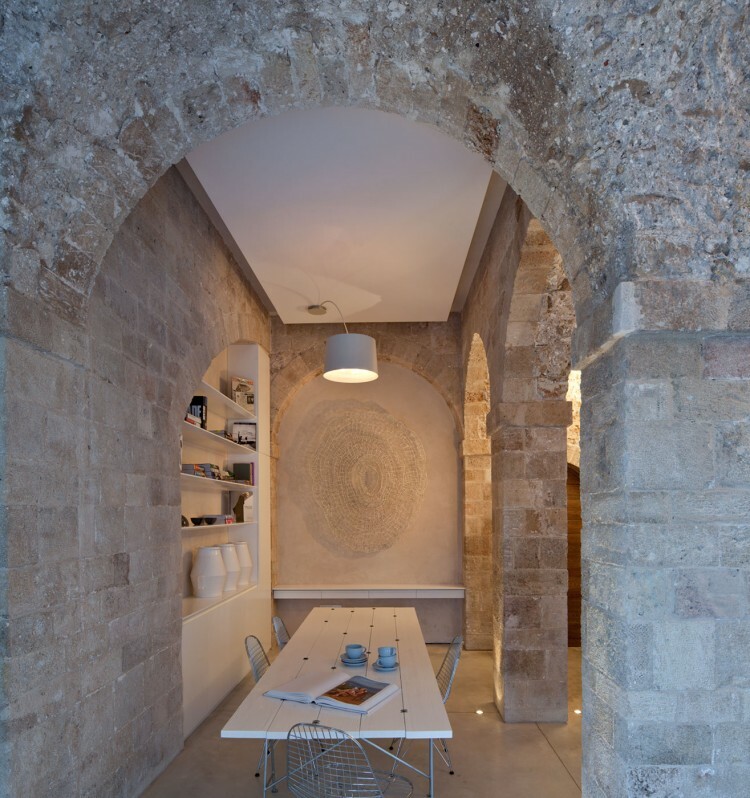 The central idea was to restore the structure’s original, characteristics, the stone walls, the segmented ceilings and the arches including the exposure of the original materials (a combination of pottery and beach sand). 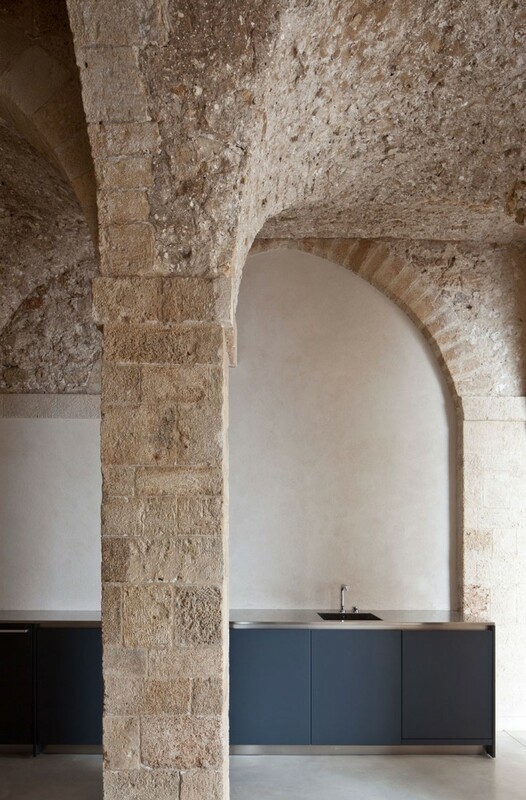 The modern is expressed by the opening of spaces and by altering the internal flow to one more open and free and the creation of an urban loft environment along with the use of stainless steel, iron and Korean in the various partitions, in the openings and in the furniture.